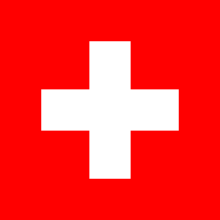 Template:Country data Switzerland is an internal data container not intended to be transcluded directly. It is used indirectly by templates such as Flag, Flag icon, and others. For a more thorough discussion of the flag template system, including parameters not described here, please see Wikipedia:WikiProject Flag Template. Ukurasa huu umebadilishwa kwa mara ya mwisho tarehe 4 Juni 2013, saa 13:25.